The two and a half hour journey on the highway from Punakha follows the scenic Dang Chhu before climbing through oak and bamboo forests, before the Pele La pass, a small road leads to the little visited and picturesque Phobjikha Valley. Here Amankora Gangtey can be found on a small forested hill with sweeping views of the valley and the Gangtey Goemba. The Phobjikha Valley at an elevation of 3000 metres is part of the Black Mountains National Park, one of Bhutan’s most important wildlife sanctuaries, which is home each winter to rare and endangered black-necked cranes which arrive from Tibet. Amankora Gangtey offers nature walks and treks through this terrain and in winter these reclusive birds can be seen from the nearby Crane Centre. A stroll from the lodge through the quaint Gangtey village is always the precursor to a visit to the massive Gangtey Goemba with its ramparts and ancient alters. If he is in residence it may be possible to arrange an audience with the Gangtey Tulku, for a highly revered blessing. Guests may also opt to undergo the Gangtey Trek, a journey lasting three days, which by Bhutanese standard is classified as easy. This trek travels through forest, field and meadow before reaching the hilltop village of Gogona, the site of the first overnight camp. The next day the trek climbs gently past the woodcutter’s camp and small coalmine at Dolonaga, before descending to the rustic village of Khothangka, site of the camp for the second night. The third day brings the trek to some of the best bird watching areas in the Kingdom before returning to Amankora Gangtey. It is recommended to undertake this trek from March to June and September to November. 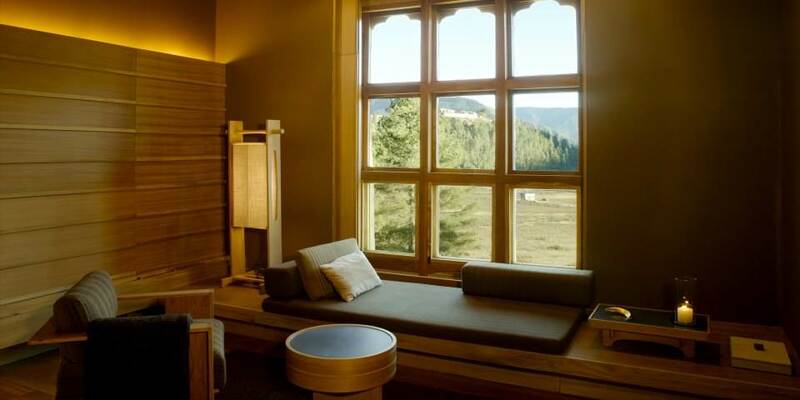 After undertaking this journey, the Spa at Amankora Gangtey will be a welcome retreat. 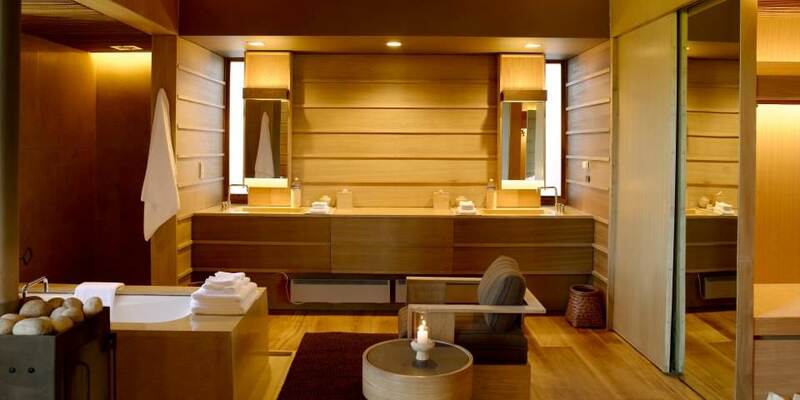 Here the treatments concentrate on joint flexibility and rehydration with massages using herbs and hot oil. The herbs used are known to have properties which target and relieve joint stiffness. 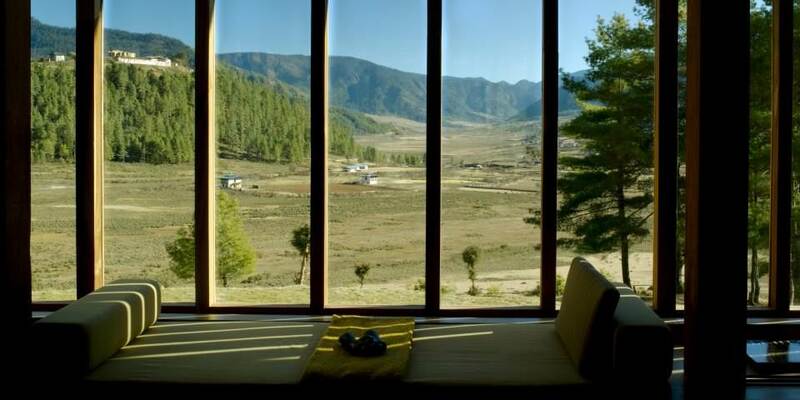 The eight suites with open plan living and bedroom area are identical in design to those at Amankora Thimpu with their wood panelling and spacious bathrooms separated from the bedroom by a traditional bukhari, all have views across the valley. 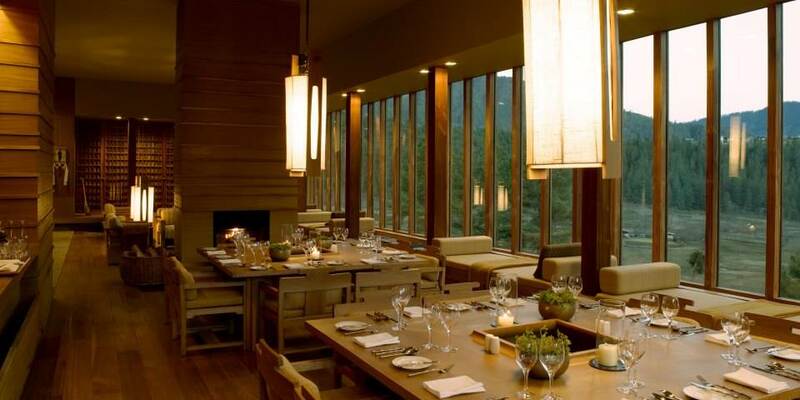 The combined Living and Dining Room of the lodge, where delicious meals are served and which is furnished with family style dining tables, comfortable sofas and cosy chairs has floor to ceiling windows which offer stunning views over the valley and surrounding mountains.